Each ticket grants entry for one person to the event and is inclusive of breakfast, lunch, and refreshments during the break. "ReThinking gives you permission to use your thoughts to change your mind. Take what is and spin it around to give you a new review and fresh perspective"
Are you a contributor to a creative future or a survivor of past history? Do you have an unmet goal? NOW is the time to ReThink your vision! Have you lost an opportunity? NOW is the time to ReThink your choices! Be it any field of work, how far are you willing to go and ReThink? On September 16 at TEDxHyderabad 2018 join us for a full day of - Dynamic Speakers, Mind-blowing Conversations, Thought Provoking Videos and Fabulous Networking Opportunities! 1. What is TEDx Hyderabad? TED is a nonprofit devoted to spreading ideas, usually in the form of short, powerful talks (18 minutes or less). TED began in 1984 as a conference where Technology, Entertainment and Design converged, and today covers almost all topics — from science to business to global issues — in more than 100 languages. TEDx is an independently organized licensed TED event. TEDxHyderabad has quickly grown to become one of the leading TEDx events in the country. TEDxHyderabad was be selected for an Anchor program by TED and mentioned in the opening statement of the TED Summit, at Banff this year as one of the most innovative events, globally. Speakers/performers both Indian and International representing diverse backgrounds, are invited to share their stories and ideas with you. TEDxHyderabad is a not for profit event and attendees can join only after undergoing the process of curation. This is a ticketed event. 2. Are you paid employees of TEDxHyderabad? 3. Can I volunteer at TEDxHyderabad? To volunteer at TEDxHyderabad, you must be part of our community. You should have attended one speaker event to understand how and what we do. We only choose volunteers from our local community. We open up volunteering slots once a year, in January. You can apply then, mentioning which specific skill set you possess. If shortlisted, you will have to go through a couple of rounds of interviews with the team. You will also be expected to devote 6-8 hours every week on normal days and 10-12 hours a week closer to the event. Attendance at team meetings are mandatory and failure to attend 3 or more team meetings will call for termination of your volunteer contract. Volunteers at TEDxHyderabad have to undergo the same curation process that attendees have to go through and also need to buy their tickets. 4. What is the procedure to select speakers? The first step of speaker selection starts with finalization of the theme. Once the theme of the event is final, we look at sub-themes within the main theme and the powerful ideas that fall within those sub themes. We zero in on at least 3-4 speakers per idea and then start to work backwards to select who we feel will be most relevant. Speaker selection is a time consuming process and it starts almost 8-10 months before the actual event. 5. Are your speakers also curated? 6. 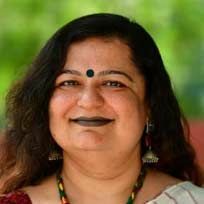 Why I need to pay to attend TEDx Hyderabad’s event? TEDxHyderabad is a not for profit. The experience we design for attendees is done through our ticket sales collections, as well as the partnerships (cash and kind) that we get. We have strict no discount policy on single ticket bookings. However, we offer a discount on bulk booking of 100 tickets and above. 8. What can I expect at TEDxHyderabad? Our attempt is to design an experience for you and not an event. We try and ensure that you not only watch inspiring talks on stage, there is entertainment, social spaces, tea, lunch etc. Apart from that our event has free seating and we do not differentiate between audience members. Everyone is an esteemed attendee, irrespective of their job title, financial standing or place in society. So who knows – you may be sitting next to your next employer/employee, investor, best friend or simply someone who awes and inspires you. This is a fabulous chance for individuals to network with like-minded people and an amazing opportunity to be part of a community of Thinkers, Enablers and Doers. All of this in just one day and at such little cost? Think about it! During an attendee curation, we go through the answers on your form, primarily to gauge what inspires you, what you are passionate about, what drives you and makes you the person you are. We also try and ascertain how passionate and involved you are about TED and TEDx. 10. As a volunteer will I get free entry? As a volunteer, you have to undergo the same curation process that attendees have to go through. You also have to pay for your ticket to attend the event. 11. I can watch the talk on you tube, why do I need to attend your event? Attending a TEDx event will give you a day full of experiences and a lifetime of lasting friends. It will inspire you and bring you to understand what others are doing in their life. Defying odds at a young age, Meghana Gundlapally, is an international award-winning Rhythmic Gymnast from India. 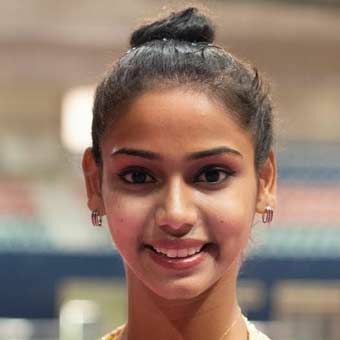 Meghana was the only participant from India for Rhythmic gymnastics in the XXI Commonwealth Games 2018 and the highest scorer for the country. She has also achieved one of the highest scores at Ness Ziona International Tournament. She is currently being trained by Greek Olympian Varvara Filiou and has built her International expertise across the globe being mentored by multiple coaches in her career from various countries. She is highly dedicated and trains herself for nearly 6 to 8 hours daily, following her rhythmic passion. 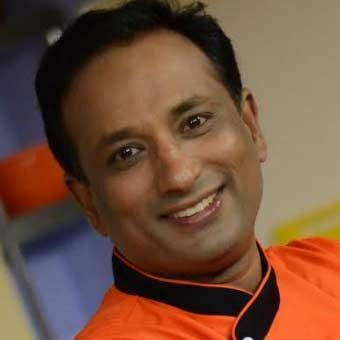 Sanjay Thumma better known as Vahchef, is an admirable Indian Chef and Entrepreneur in culinary arts in Indian cooking. He is among the top 10 YouTube stars from India. 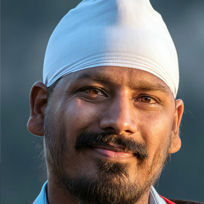 YouTube honored him the lifetime views in the YouTube channel which has reached up to over 290 million viewers.vahrehvah.com is the most watched chef across the globe as Sanjay, shares an inseparable bond with his audience. In fact, YouTube calls him DNA of YouTube India. Recently, Vahchef is assigned as a “Culinary Ambassador” for The Indian Federation of Culinary Associations, IFCA India. Vijay Chadda has 45+ years of professional experience with 20 years, serving in the Indian Army. 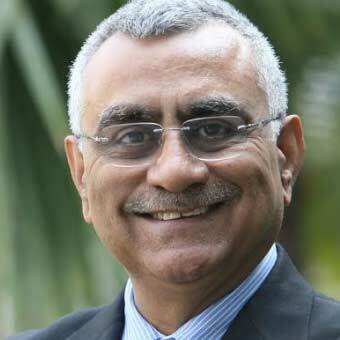 He has headed leading corporates however his innate desire to give back to society meaningfully, drew him from the corporate world to the Foundation. Under his leadership, the Satya Bharti School Program Bharti Foundation, provides free quality education to over 45,000 children from marginalized communities in rural areas, through its 254 schools across six Indian states. His army background inspired many processes and events to inculcate a sense of patriotism and integrity within the school program. 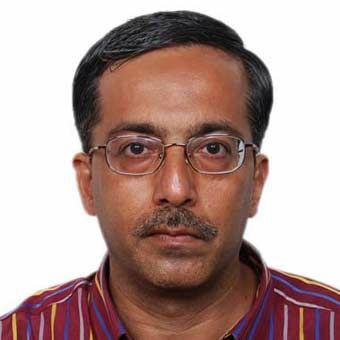 He is part of various National Committees in the area of Education, Skill Development and Corporate Social Responsibility (CSR) and on the Advisory Committee of leading schools and educational institutions. 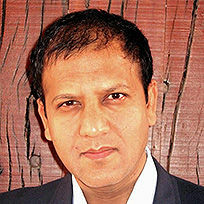 Sandeep Sangaru is a multidisciplinary designer and entrepreneur. He studied Industrial design and Mechanical Engineering. 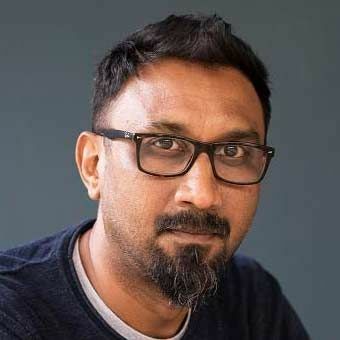 He won several awards and accolades, including the Red Dot Design Award in 2009 (considered to be the Oscar of product design) and the British Council’s Young Creative Entrepreneur Award - Design for Social Impact in 2012, among many others. His designs have even made it to Christies's. Since inception his studio has been actively involved with the craft sector working with local people and local material to create global products. He has worked with bamboo craftsmen in Tripura, the community of Khatamband artisans in Kashmir to revive the lost craft of Pinjrakari and with Channapatna's wood-and-lacquer artisans. In his free time, this Star Wars fan enjoys taking vacations in remote mountains "where one gets cut off from everything normal"
Colleen Lightbody is the owner of Brainwise Coaching and Learning Systems. 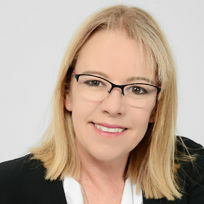 Her area of expertise lies in Neuroscience, Mindfulness, Brain-based Learning, Personal and Professional Leadership, and Emotional Intelligence. 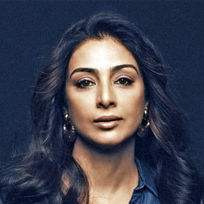 She is becoming known as “The Brain Guru” through her writing for blogs and magazines, as well as in television and radio interviews. Her positive and energetic style reflects the passion she has for living a life where her core purpose is to be a catalyst for change. From being an over weight alcoholic to climbing Kilimanjaro and Everest Base Camp, to achieving Provincial Colours in both Cycling and Triathlon, completing Iron Man Challenges, and many cycling races and ultra-marathons, Colleen Walks the Walk of Personal Mastery. Anshul Sinha brings a difference by wielding his camera to create movies that address important issues. His most notable movies are ‘Gateway to Heaven’ on human corpse trading and ‘Mitti – Back to roots’ on agrarian crisis and farmer suicides. He has participated in more than 500 film festivals so far, winning more than 100 national and international awards, and continues to make an impact with his movies. 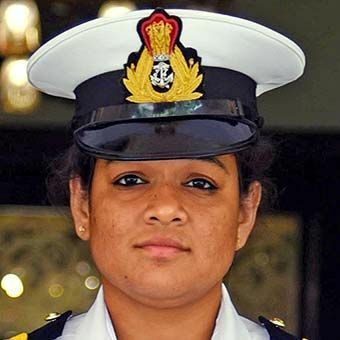 Lt Cdr Aishwarya Boddapati is an officer of Indian Navy, who has brought glory to the country and Indian Navy by becoming a part of the first all-women’s crew to circumnavigate the globe on Indian Naval Sailing Vessel Tarini on Project Navika Sagar Parikrama. She, along with her teammates, is the recipient of the prestigious Naari Shakti Puraskar (highest civilian award to be conferred to women in India) by Honourable President of India Sri Ramnath Kovind. Venturing into unexplored southern oceans, facing rough weather conditions, strong winds amidst high waves and sub-zero temperatures while being self-sufficient aboard the ship, including the maintenance and repairs of the equipment is no mean feat, and we are certainly proud of this Hyderabadi! General V.K. Singh, PVSM, AVSM, YSM (retd), is an Indian politician and a decorated and retired as the Chief of Army Staff. He is the Union Minister of State (MoS) for External Affairs in the present government. He started his career as a military officer and became the first ever commando in the Indian Army to have been promoted to the General rank. 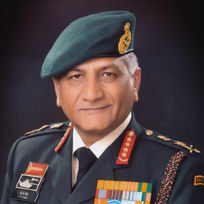 On 11 March 2011, General Singh was inducted into the United States Army War College (Class of 2001 graduate) International Fellows Hall of Fame. He is the 33rd International Fellow and the first Indian Armed Forces officer to be inducted in this. He is also a graduate of US Army Rangers Course at Fort Benning, USA and US Army War College, Carlisle, Pennsylvania. “Courage and Conviction” is the name of his highly acclaimed autobiography. Dr. Vikas Singh is a social entrepreneur and founder of Crux Management, consulting for governments and large businesses. He is associated with ISB, UNICEF, ILO, GIZ, and UNDP. He has worked on Swachh Bharat, PMJDY, digital literacy, demonetization, APY, Polio Program (with UNICEF), and entrepreneurship (with UNDP). He is a columnist with several well-known publications. Dr. Singh has worked on building capacity, enhancing awareness, and enabling inclusion and these initiatives have impacted millions of Indians. 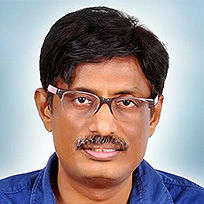 As a scientist who has transformed the landscape of Indian agriculture, Dr Ramanjaneyulu GV and his organisation Centre for Sustainable Agriculture (CSA) work on public policy issues impacting food systems and farmers livelihoods and a framework to ensure income security for farmers. He has built a Community marketing System ‘Sahaja Aharam’ linking farmer cooperatives directly to consumers. 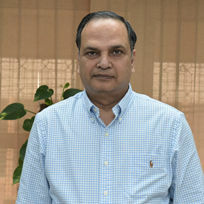 He has won many awards, including one from World Bank, and has authored several books and articles on sustainable agriculture and public policy. Entry into the auditorium will only start 20 mins before the event timing. Please carry the Email on phone / E-Ticket printout from Meraevents for verification at the venue. Cancellation and Rescheduling of registration is not allowed. This registration is Non Refundable. This registration is Non Transferable and is valid for one person only. Attendees reaching late at the venue will NOT be allowed inside the auditorium while the Talks are in progress. We encourage you to car pool or share your car with other attendees.Find #TEDxHydCarpoolers online on Twitter. Any individual might be asked to leave the venue without any liability of a refund if there is any behavioral misdemeanour this decision rests with the conference and venue management and is final and binding. There is no refund for NO SHOWS.